Torsten Messer from Germany has entered the 53’ “Bank von Bremen” in the Round Rockall Race. The boat is the latest of a series commissioned by SKWB, or “The Arms of Bremen”, a sailing group founded in 1934. 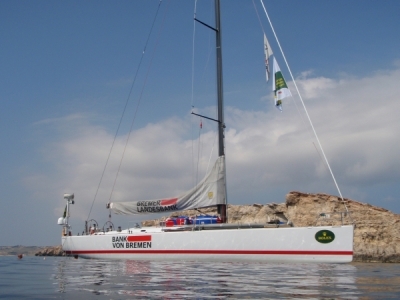 The boat previously took part in the Rolex Middle Sea Race and the Round Iceland Race in 2009. Visit their website here or view more photos here.